Dreamer by Chris Brown is part of the album "AT&T TEAM USA Soundtrack" . 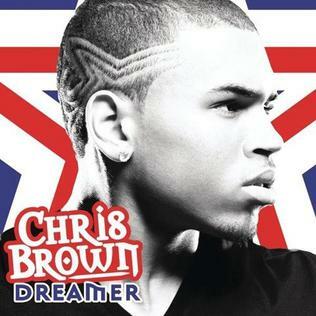 'Dreamer' is a song by American R&B singer Chris Brown produced by RADIO. It is one of the songs featured on the 'AT&T TEAM USA Soundtrack'. This song was made for 2008 Beijing Olympics & it samples 'The Reason' by British R&B singer Lemar. The song was released on August 7, 2008 on iTunes and so far has reached number 3 on iTunes Top 10, and also debuted at number 16 on the Billboard Hot 100 on digital downloads. Also, the music video for the song was released on August 18, 2008. In New Zealand, the song debuted at number thirty-five on December 29, 2008. Dreamer Lyrics are the property of the respective artists, writers and labels. These lyrics are provided for eduacational purposes only. Please buy the song if you like them.